Inaugurated in 1913, the Saint-Cloud Golf Club is a private club with two 18-hole courses, located in the parishes of Garches, Rueil-Malmaison and Vaucresson, just outside Paris. 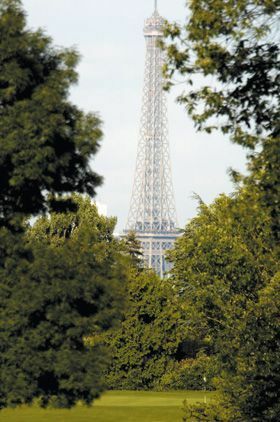 From the fairways of the 8th hole on the Green course and the 18th hole of the Yellow course, players have a magnificent view of the Eiffel Tower and over the city of Paris. Designed by Harry Shapland Colt, the first real golf course architect, the Green course has hosted the French Open on 14 occasions. It is also the course on which the French Junior International Championship – the Esmond Cup – is traditionally held. Saint-Cloud Golf Club holds one of the greatest accolades for amateurs thanks to its women’s team, with 26 victories in the French Championship. The leading French amateur golfers compete in the Grand Prix de Saint-Cloud which bears, on alternate years, the name of its founder, Henry Cachard, and that of Jacques Petit-Le Roy, a very good amateur player, and a former member of our club; Petit-Le Roy, a young resistant fighter and an emissary of Jacques Chaban-Delmas, was shot on the eve of the Liberation of Paris when he was only 28 years old. Along with 21 other French golf courses, Saint-Cloud Golf Club is listed in the Rolex Guide to the world’s 1,000 best courses. However, over and above the practice of a great sport, Saint-Cloud Golf Club is so attractive because it embodies the sharing of common values: the spirit of sportsmanship; a strong sense of family; friendship and conviviality.